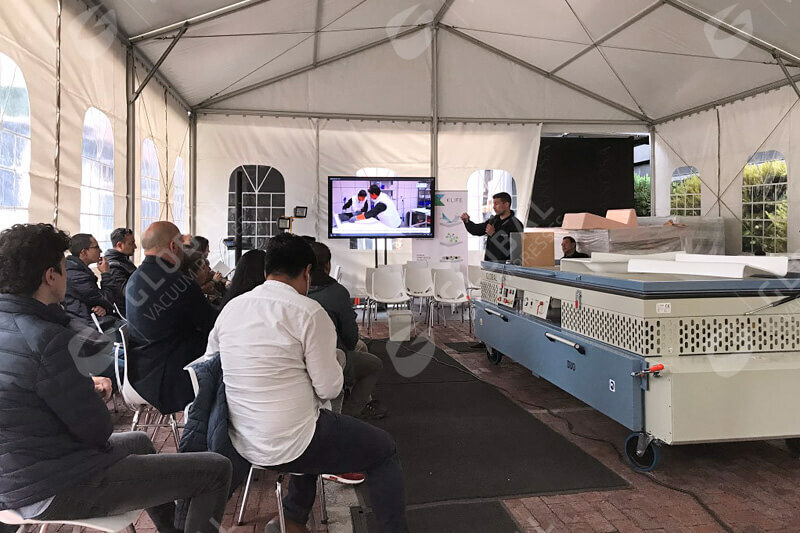 Throughout the last years, Global Vacuum Presses has been present in different exhibitions all over the world. Below is a list of the different trade fairs in which Global Vacuum Presses has participated. – M&M 2014, 2016, 2018 (Colombia). – Eurobois 2009, 2011, 2013, 2015, 2016, 2018 (France). – Expobois 2006, 2008, 2010, 2012, 2014 (France). – Batimat 2011, 2015, 2017 (France). – LIGNA 2003, 2005, 2007, 2009, 2011, 2013, 2015, 2017, 2019 (Germany). – Nürnberg – Holz Handwerk 2006, 2008, 2014, 2016, 2018 (Germany). 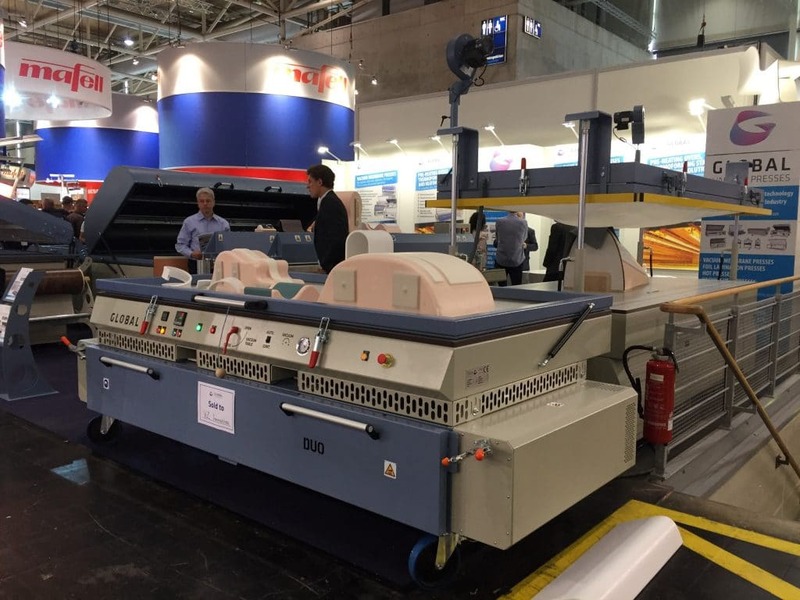 – FESPA 2014, 2015 (Germany). – HARDENBERG 2008, 2009, 2010, 2011, 2012, 2013 (Netherlands). – ROTTERDAM 2008, 2010, 2012 (Netherlands). – XYLEXPO 2006, 2008, 2010, 2012 (Italy) . – Magna Expomueblera 2017, 2018 (Mexico). – Poznan 2005, 2007 (Poland). – FIMMA 2003, 2005, 2007, 2009, 2011, 2014, 2016, 2018 (Spain). – Göteborg 2008, 2010 (Sweden). – Dubai Woodshow 2014, 2016 (United Arab Emirates). – SGIA 2013 (United States).